Camden County Personal Injury Attorneys | Andres & Berger, P.C. Why Choose The Law Offices of Andres & Berger, P.C. to represent you? 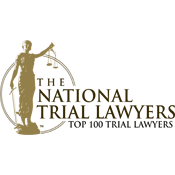 They have a combined total of more than 70 years of trial experience and a proven record of success in obtaining multi-million dollar settlements and verdicts. 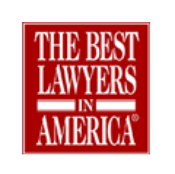 That is why lawyers throughout the state refer their major cases, as well as their family and friends, to The Law Offices of Andres & Berger, P.C.. 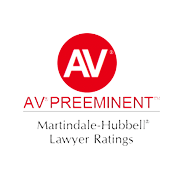 Credentials matter, and the attorneys at The Law Offices of Andres & Berger, P.C. 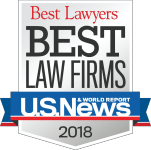 have been recognized by the courts, major legal bar associations, and their fellow lawyers for their expertise in representing personal injury and medical malpractice victims. 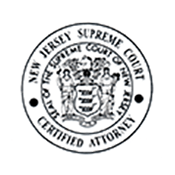 After any serious injury or a wrongful death, New Jersey citizens are urged to contact a personal injury lawyer as soon as possible so they can begin working for you by gathering the necessary evidence to support your case, filing the required forms and notices, and avoiding any potential problems caused by legal technicalities. The Law Offices of Andres & Berger, P.C. are dedicated to helping injured people and families who have lost a loved one. “That’s not an empty statement— it’s our reason for existing.” Kenneth G. Andres, Jr. and Michael S. Berger only handle cases on behalf of seriously injured people and wrongful death claims for family members seeking compensation from the individuals and institutions responsible for accidents or medical malpractice. They are highly selective and limit the number of cases accepted so that they are able to provide a high level of service to clients. All cases are carefully screened by the Firm and evaluated by independent, qualified experts to make certain that the cases have merit. The Law Offices of Andres & Berger, P.C. has helped thousands of clients recover the money they need to pay their medical bills, support their families and be compensated for their injuries. The Firm also includes high quality lawyers and experienced paralegals, nurses and support staff who provide valuable assistance in case preparation. The attorneys at The Law Offices of Andres & Berger, P.C. also consult with independent medical, scientific, economic and vocational experts to understand and prove the merits of a case. They believe it is important to retain the most highly qualified experts available and present them to the court and jury so no one can legitimately question the facts of a case. The Law Offices of Andres & Berger, P.C. 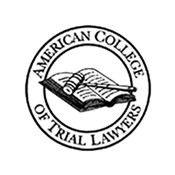 are accustomed to doing the hard work necessary to achieve the optimal result for injured clients — in and out of court. The award-winning New Jersey personal injury law firm at The Law Offices of Andres & Berger, P.C., will immediately begin a detailed investigation of your injury; guide you through all interactions with law enforcement, health care professionals, and insurance adjusters; negotiate from a position of strength with liable parties and insurance companies; and present a persuasive argument to maximize your compensation at trial. The Law Offices of Andres & Berger, P.C., has the resources and the drive to do whatever is necessary to build compelling arguments. The firm fights for clients who are entitled to obtain full compensation after an accident. With a reputation for hard work and genuine concern for clients’ well-being, we seek to accommodate clients’ needs in any way possible — such as by offering free consultations, working on a contingency basis, and making home and hospital visits as needed. 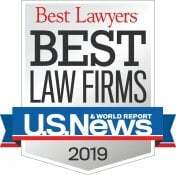 In any case involving personal injury, a catastrophic injury, a dog bite, a slip-and-fall accident, an injury caused by using a dangerous or defective product, a construction accident, a car accident, a trucking accident, medical malpractice, hospital malpractice, legal malpractice, or wrongful death, The Law Offices of Andres & Berger, P.C., prepares diligently for trial—even if we hope to settle the case. This often includes bringing in credible, respected expert witnesses in order to build fact-based, persuasive arguments. The goal is always to obtain the compensation necessary to put a client back in the same financial position they would have been in had the accident not occurred. When many people have been affected, we also handle class action lawsuits. When cases do end up in court, Kenneth Andres, Michael Berger, and Tommie Ann Gibney fight hard to “move mountains” on behalf of injured clients and surviving family members of people who tragically lost their lives as a result of negligence of others. Contact the personal injury and medical malpractice law firm at The Law Offices of Andres & Berger, P.C., to schedule a free consultation. To learn how the personal injury and medical malpractice attorneys at The Law Offices of Andres & Berger, P.C. can help you pursue the compensation you need to put the accident behind you and move forward, contact us for a free consultation.